Our Pompom party this month from Sewyeah! is all about spring flowers! Get your pompom makers and get winding! This month’s project is to how to make these gorgeously tactile oversize floral pompoms. They are made in chunky yarn so they are quick to make. Don’t worry if your number of wraps aren’t exactly the same as the ones written here as these are simply a guideline. Once you work out the structure of the flowers you can experiment with different size centres, petals and leaves by increasing or decreasing the number of wraps. Paintbox Yarns Simply Chunky yarn in Mustard Yellow, Grass Green, Bubblegum Pink, Ballet Pink, Champagne White and Dark Aubergine. Take the Aubergine yarn and start wrapping it alongside the Mustard Yellow yarn (wrapping the two strands at the same time) over the existing Mustard Yellow yarn 16 times. Cover all of the existing Mustard Yellow yarn. Take the Bubblegum Pink yarn and wrap it 16 times to the right of the Aubergine and Mustard, (directly onto the maker not over the existing yarn) then wrap it on top of the Aubergine and Mustard yarn a further 25 times. Add in a strand of Ballet Pink yarn and with the Bubblegum Pink cover the rest of the Aubergine and Mustard with 16 wraps. Fill the rest of the maker with the Champagne White yarn. To keep the flower part of the pompom together first try and fill the remaining exposed maker to the left and right of the flower with the Champagne White yarn first then cover the rest. 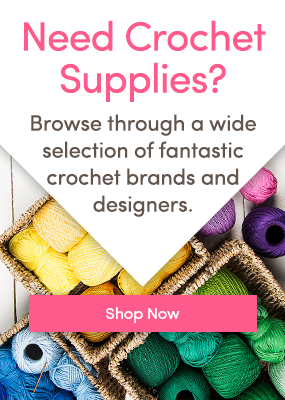 Join the Pompom Party with Sewyeah! every month on the blog! 2 Responses to Pompom Party: Spring Flowers! Love your Spring Flower Pom Pom will definitely be making it. That is when I get my Pom Pom maker back from my sister-in-law, on second thoughts I just buy a new one.